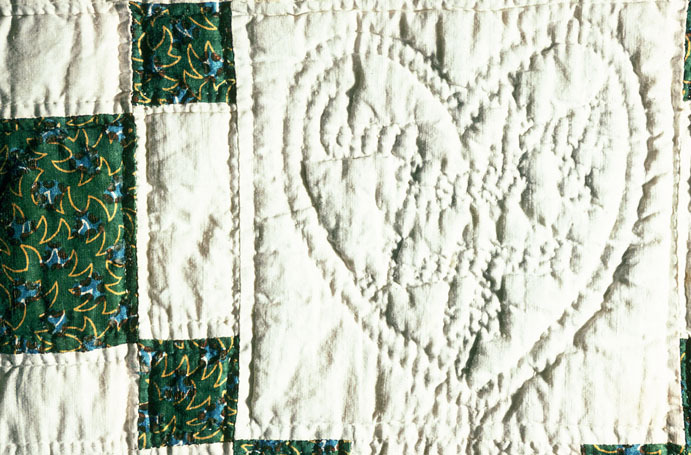 Our patchwork quilt traditions derive from Europe, particularly England and the Netherlands. 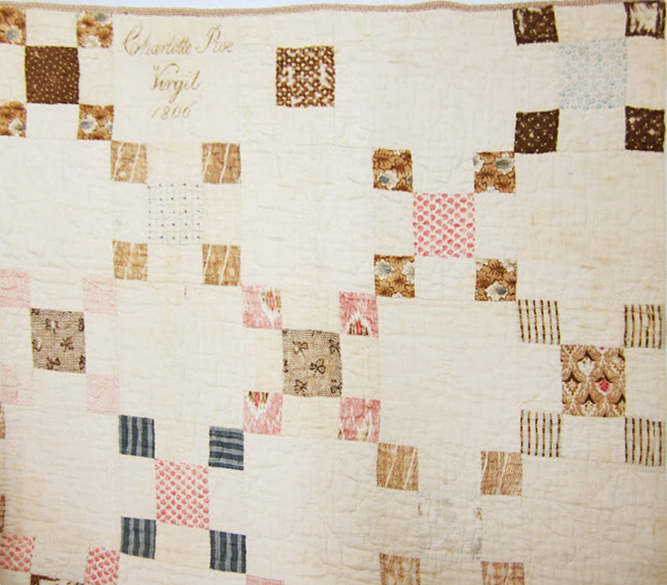 With many unsigned early quilts found in the U.S. it's hard to say if the maker lived in York or New York. 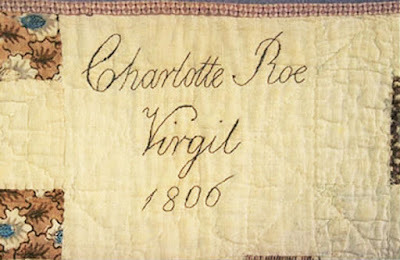 But Charlotte Roe left us clues in her quilt, including the name of her town. 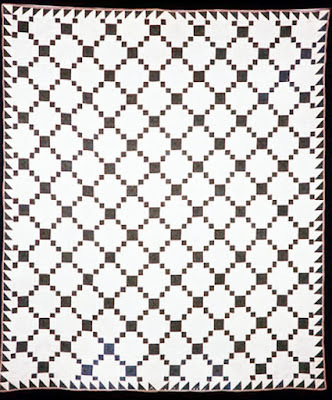 The style---a simple nine-patch arranged block style---is also a clue to where she lived. 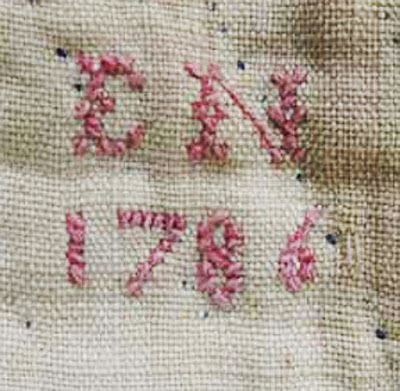 Nine Patch dated 1808 with initials A.T.E. The date on A.T.E. 's quilt. Nine Patch dated 1802 from Gammage Antiques, Maine. Setting them either on point or on the square. Elizabeth Bowman Nace of Hanover, Pennsylvania. Hers is dated 1786 on the reverse. for a backing at a later date. 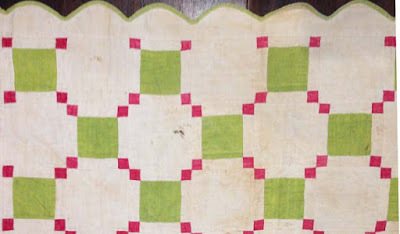 I wonder if so many nine patches survive because they were a girl's first quilt---kept for sentimental reasons. 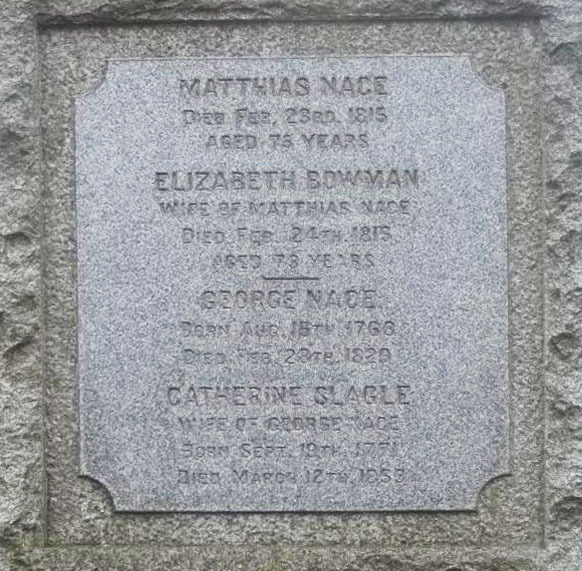 But Elizabeth Elizabeth Bauman Neas (or Elizabeth Bowman Nace) was not a girl in 1786. 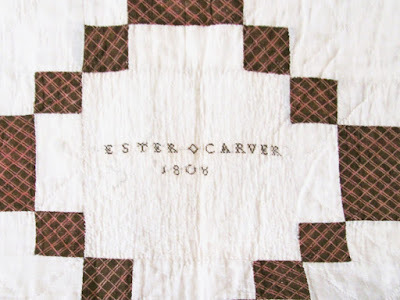 She was born in the 1740s so would have been in her forties when the quilt was made. The Neas House in Hanover still stands. 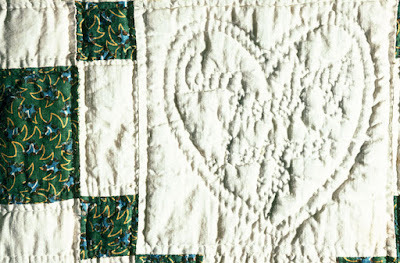 The British Quilt Guild collection has 69 quilts made before 1840 in their online files. 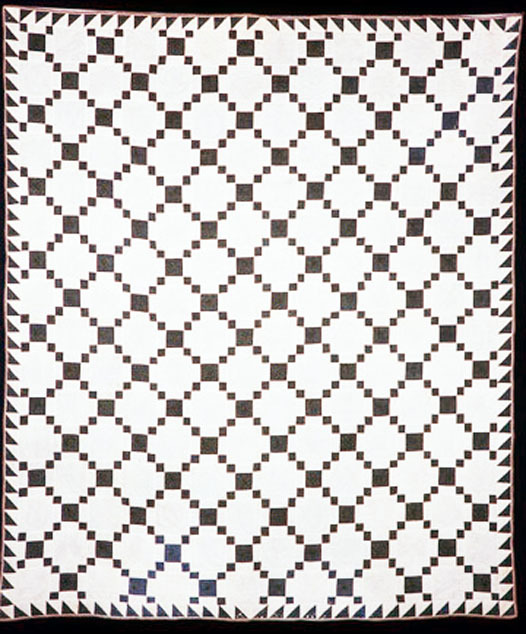 Not one is a nine patch set block by block. Seen at the Vermont Quilt Festival. So when you see one of these nine-patches with early prints you can assume it is American-made and feel pretty good about dating it from 1780 on, depending on the fabric. Here's an early nine-patch without an inscribed date but family history indicates it was made by Lavina Ensign (Woodruff Westover), begun when she was 5 in 1795. Such an interesting history for this relatively humble quilt design. It's always one of my favorites because there are many variations and settings. Thanks for these lovely historical facts. Glad to see these, as I am a nine-patch enthusiast! 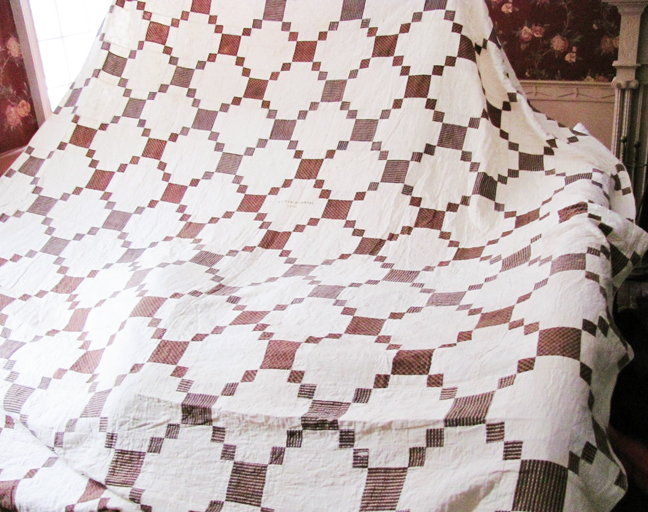 I believe that 1802 quilt is the one we documented in Woolwich (Maine) in 1990. My mistake in an earlier comment as I remembered it as 1804. There were two that day from the same family one was this one and the other was a Puss in the Corner medallion layout dated 1803 (or maybe 1804). I think Cyndi knows who owns that one. 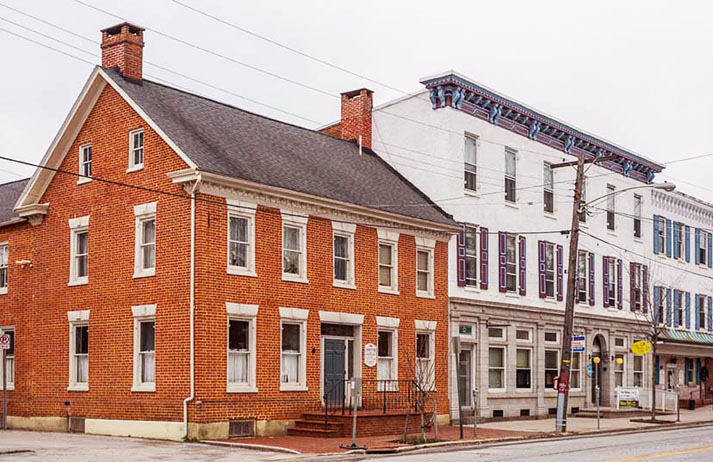 Cyndi has just finished a month long Shop Hop and will dig out the documentation info for you on this one and the 1797 one as soon as she can get to it. 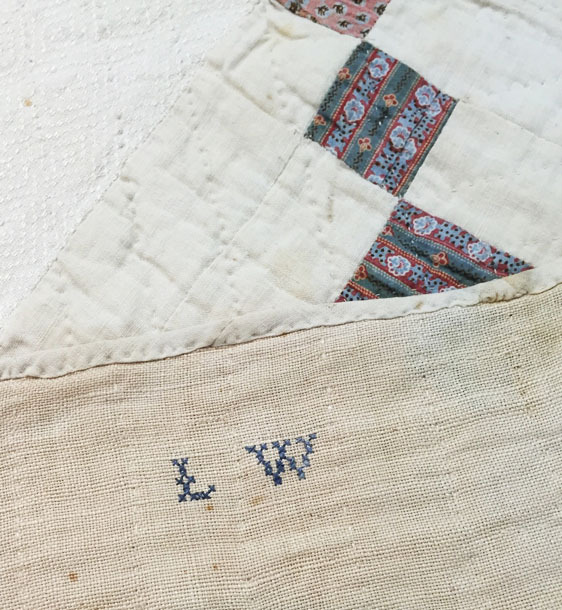 One of our reasons for uploading everything to the Quilt Index is so that we can dig out specific items like "dated" quilts. We are woefully behind! 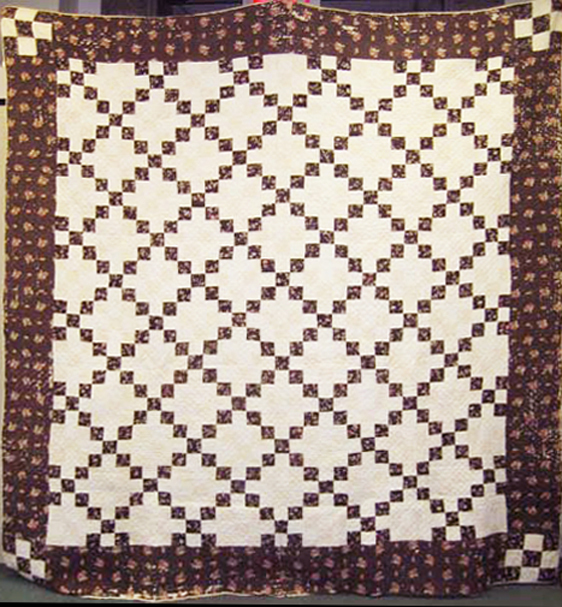 I have pictures of both those quilts as they were on eBay years ago. There was a pair. Clarissa Moore: Where are the Eagles?